Now here’s a great idea – use an empty high street shop to showcase some of the county’s cool independent businesses. 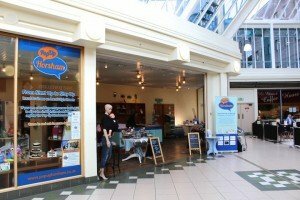 Pop-Up Horsham has been based at the town’s Swan Walk shopping centre for six months, inviting up to seven Sussex brands at a time to display their wares. Every month there’s a change over so different enterprises can get exposure. I went down the other week to check out what was in store. I love hearing the stories behind small businesses and there were some great ones at the pop-up. 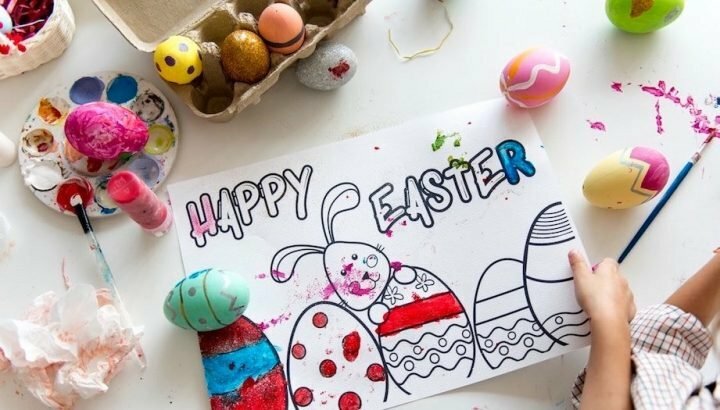 Nikki O’Connor trained as a florist, then founded Hello Baby Gifts, diverting her skills into cleverly folding fabric to create large rings and ‘cakes’ made of onesies, bibs, blankets and more. As well as fulfilling individual orders she’s now the regular maternity leave gift supplier for Virgin Media. 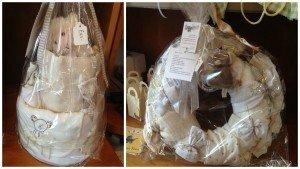 …and she still also makes bouquets – yes, some of those flowers are rolled up babywear! Got a budget for designer gear? Have a particular colour scheme in mind? Nikki is happy to customise the contents. One of her favourite projects was making a punk-themed ‘cake’. 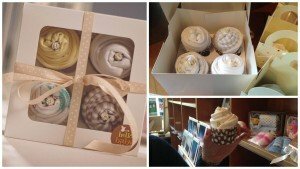 And if you’re after a smaller gift, how about these brilliant onesie cup cakes? 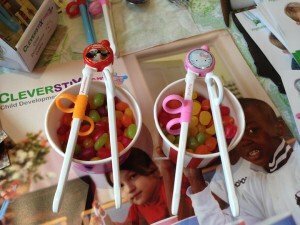 Kevin North little thought he’d be launching a new career when he brought back some fun children’s chopsticks as presents after visiting his in-laws in South Korea. 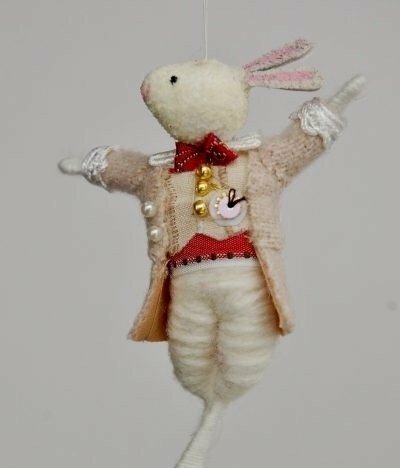 He got rave reviews from friends (and subsequent Amazon buyers), saying the jointed sticks helped their children with co-ordination, made them focus at mealtimes and got fussy eaters clearing their plates. Research has since shown they also help prepare children for pen use. When he was faced with redundancy, Kevin approached the Korean company and negotiated the European rights for what he now calls CleverstiX. The tools, which can be used for all types of food, are now stocked by the Science Museum, endorsed by Ken Holm and used by various Chinatown restaurants and sushi bars. They’re BPA free and come decorated with fun characters like Kung Fu Panda and Hello Kitty. Brighton make-up artist Mel Jenkinson found she was getting many requests for organic products. 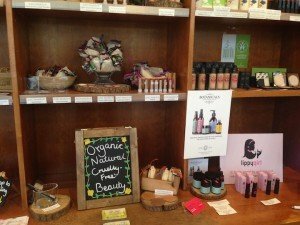 This got her thinking and she began sourcing and stocking exclusively organic brands in an online shop she calls Glow Organic. She’s happy to send out testers for £1 to help you decide which product is best for you and also gives make-up tips on her website blog. 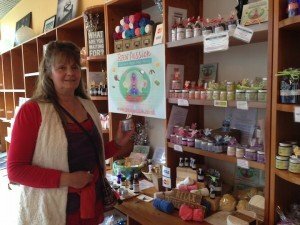 In a similar vein, organic skincare is the business of Viola Woolcott, the woman behind the amusingly titled RAW PASSION. Her range of ‘skin food’ has ingredients safe enough and good enough to eat, like the coconut oil, shea butter, cacao butter, and essential oils in Inky Pinky moisturising cream. It turns out her young grandson regularly raids her handbag and tucks in. With an epileptic dalmatian at home she started experimenting with pet products and now has a non-toxic range including a Snout Paw Skin Soother. There’s also a range of moisturisers and more aimed specifically at men. Viola recently earned a PETA Bunny mark, certifying her products are both cruelty-free and vegan. They’re also ethically fairtrade and she also avoids plastic containers, instead packaging everything in glass, including these stylish lip balms (below, right), which were destined for St Moritz. 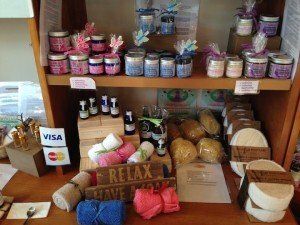 All the above businesses sell online and some have additional Sussex outlets. 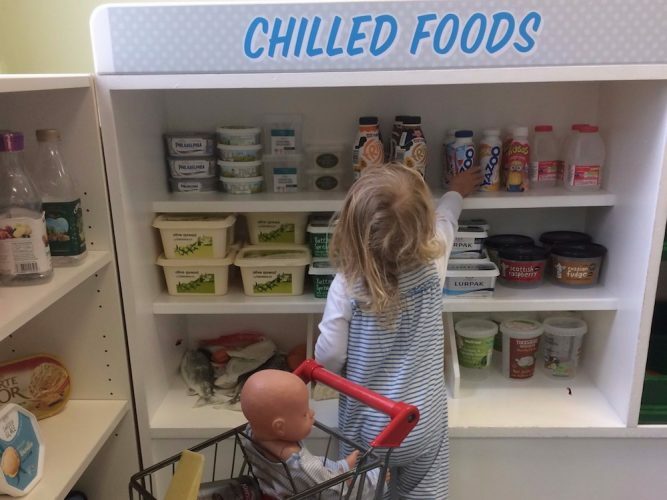 For instance, CleverstiX is stocked by JoJo Maman Bebe in Brighton, Chichester, Haywards Heath and Horsham and RAW PASSION has stockists in Goring, Amberley, Steyning, Lyminster and Ferring. 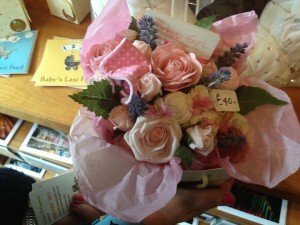 Some will also be coming back to the Pop-Up (Hello Baby Gifts is booked for May). So if you’re around Horsham, pop in to Swan Walk and see who’s there this month. 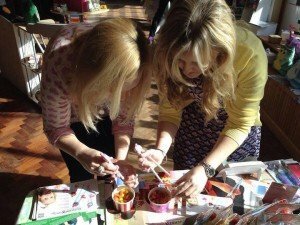 If you’re a small Sussex business that could benefit from Pop-up Horsham, check out the application form on the website. As well as the shop itself, the team provides mentoring, financial advice, PR support and more.